← Gluten-Free Pumpkin Cupcakes with Brown Sugar Buttercream and Chocolate Spiders! So we had some pretty ripe bananas and my mom wanted me to make sure they didn’t go to waste. Bingo: Cupcakes. I’ve been on a big honey kick lately and I thought, what better flavor to go along with bananas but honey, right? 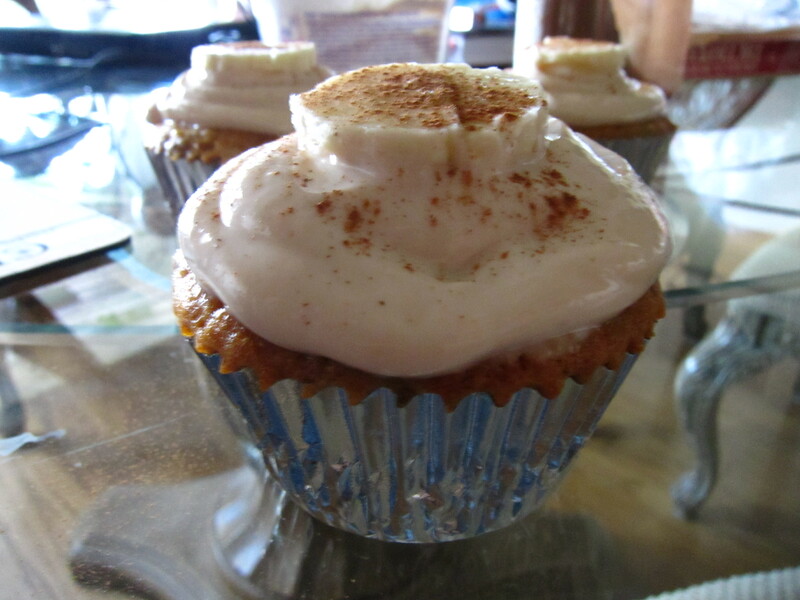 So I went to my go-to banana cupcake recipe from my Martha Stewart but I substituted honey for all of the sugar. Substituting honey is actually a healthier choice since honey is metabolized slower than cane sugar you don’t get a crazy sugar high and low. Honey is overall much more superior to sugar because it has more vitamins and minerals and it’s actually sweeter! Honey is pretty easy to substitute. Up to one cup of sugar can be substituted equally with honey. After one cup you should then use 2/3-3/4 c honey for every cup of sugar. This is because honey is sweeter than sugar. So I made the delicious cupcakes with honey as their sweetner. Another reason why honey is superior in baking is that it keeps your baked goods very moist. 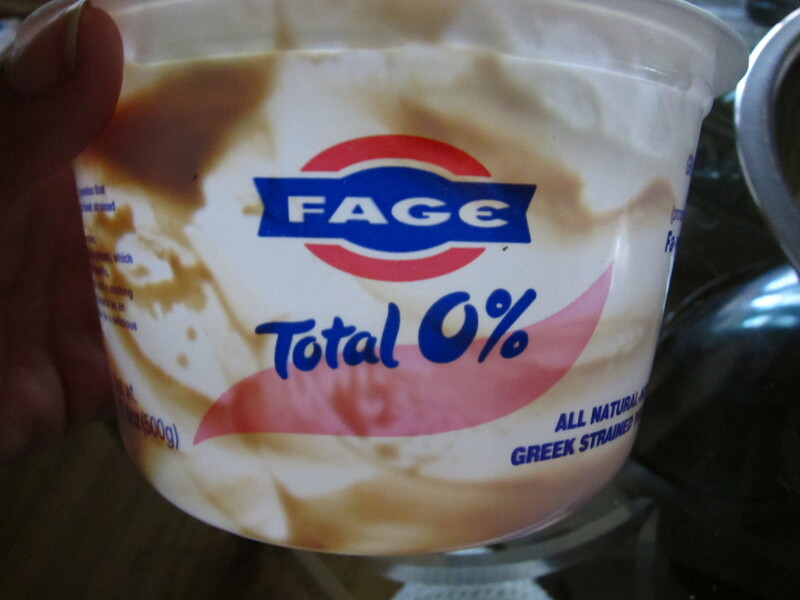 Fage also has a 2% yogurt which is delicious. It looks like there is peanut butter in the container because I mixed some peanut butter with my greek yogurt to give the frosting a hint of nuttiness. You can opt not to do this and just go for the straight yogurt taste. 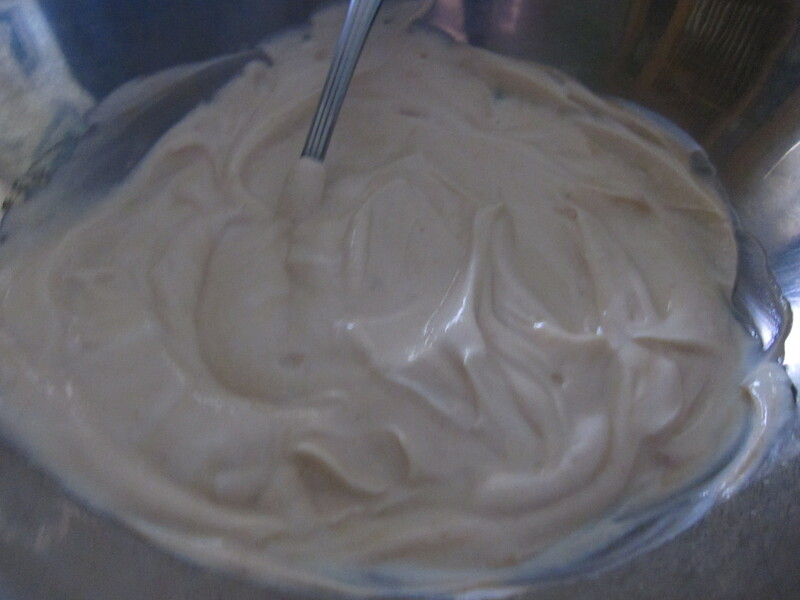 For my frosting, I mixed 1 tbsp of peanut butter, 1 500g container of Fage yogurt, and powdered sugar to taste. 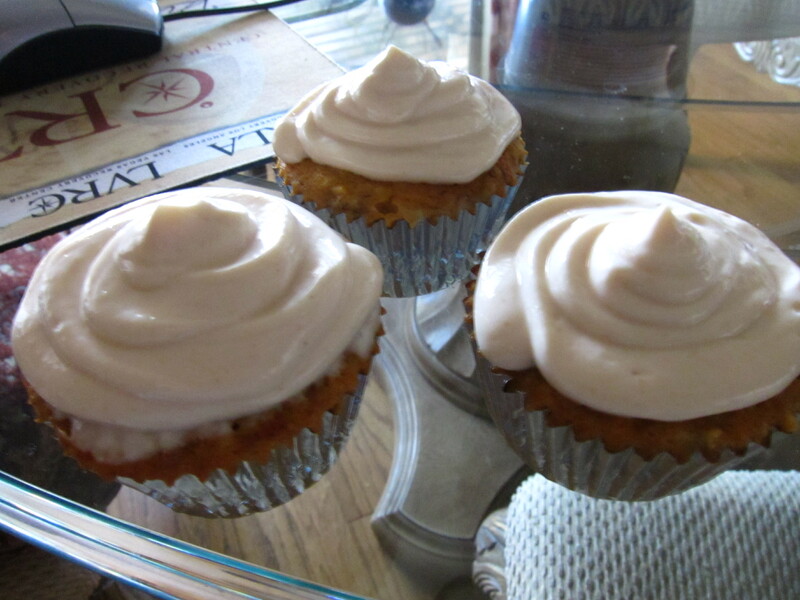 You could also opt to sweeten with honey, but the more honey you put in the yogurt, the more liquid-y it becomes and I didn’t want to have runny frosting. 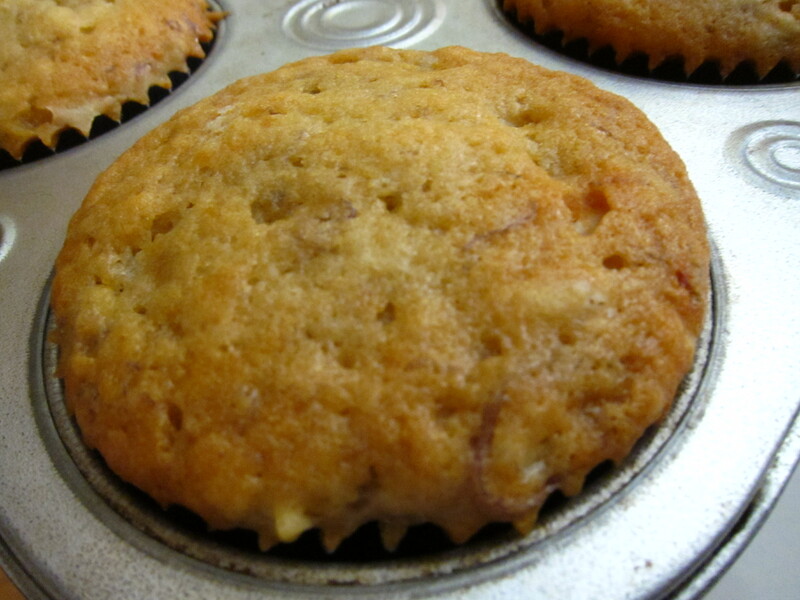 To finish it, I took a banana slice and topped each cupcake. Then, I sprinkled some cinnamon for some yummy spice! 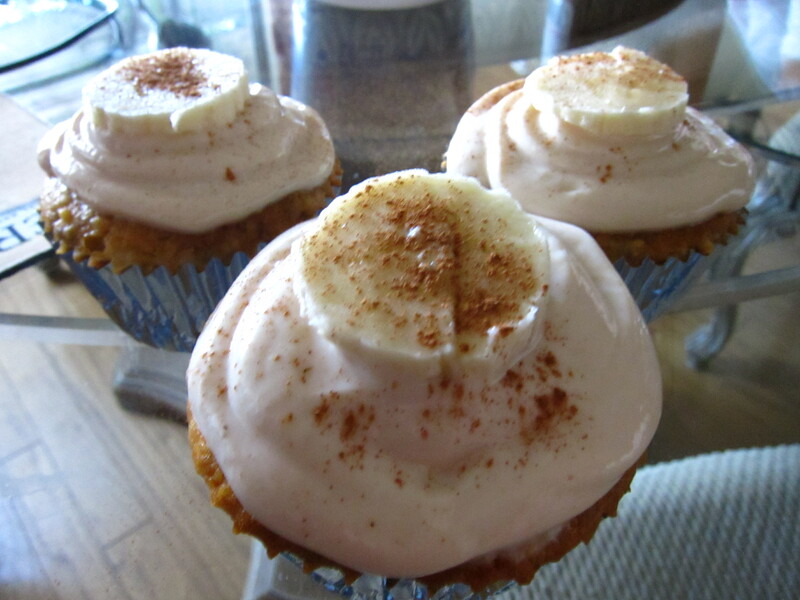 Just before serving, peel and slice banana into rounds, and place one on each cupcake, and sprinkle with cinnamon, if desired. If you want a nutty taste to the frosting, add peanut butter to yogurt. 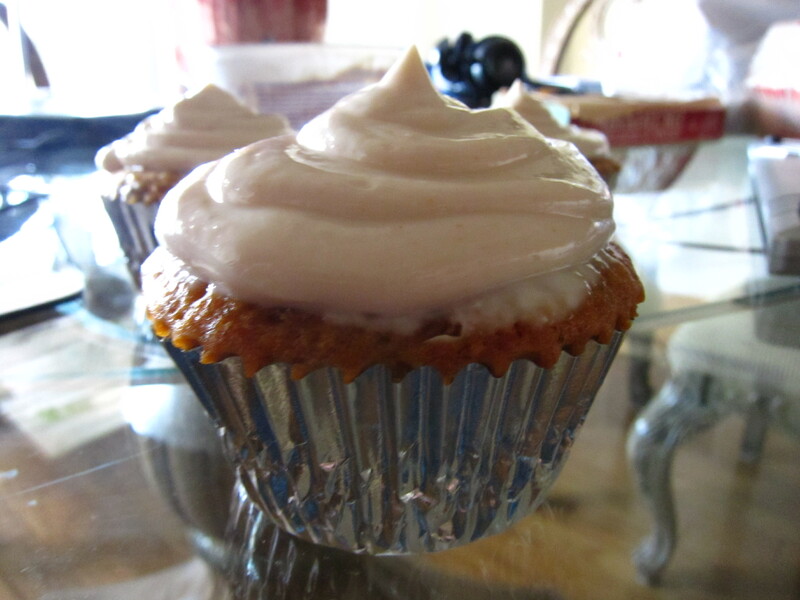 These are very delicious and very easy to make cupcakes. Great job WOW!! this is fantastic. Thank you for great step by step instructions. It really made my job so simple since it works perfectly. Thank you 🙂 I appreciate your support. 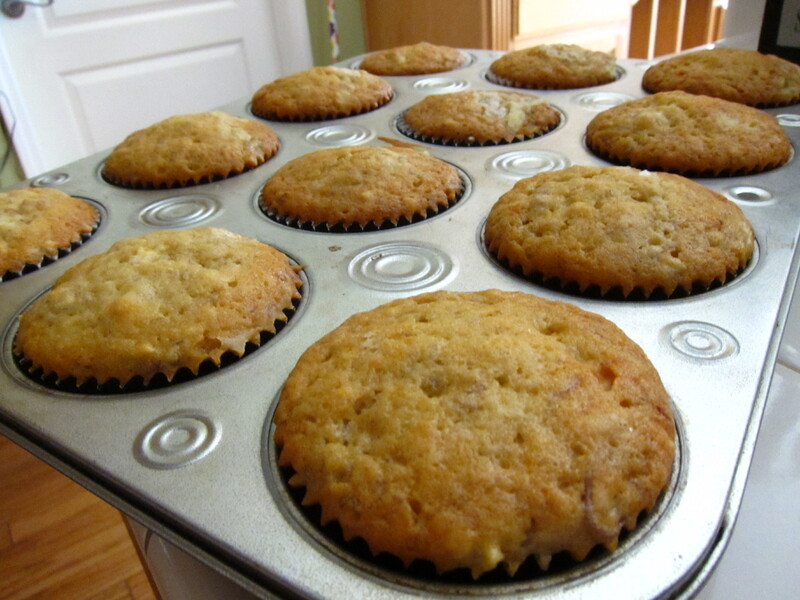 I love banana cupcakes. Maybe its time to make my own of these cupcakes. I think adding some chocolate syrup will make it yummier. Thanks for the easy and simple recipe of yours. Thanks for the suggestions! Chocolate syrup would definitely add to it!